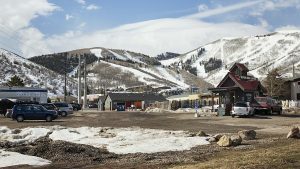 Thursday evening, the Park City Council unanimously voted to accept a fee amendment on parking and meter rates, going into effect Dec. 15, 2017. The proposed updates support the upcoming rollout of the city’s demand-based parking technology program, which also begins in December. The new rates would add fees to the Flag Pole lot, Bob Wells Plaza, China Bridge parking structure, and North Marsac lot during certain times of the day. China Bridge, however, would lose its six-hour time limit. 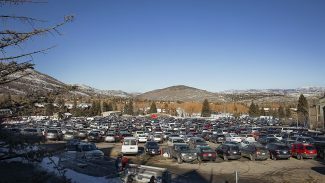 The fees associated with each parking lot vary depending on time of day and year. 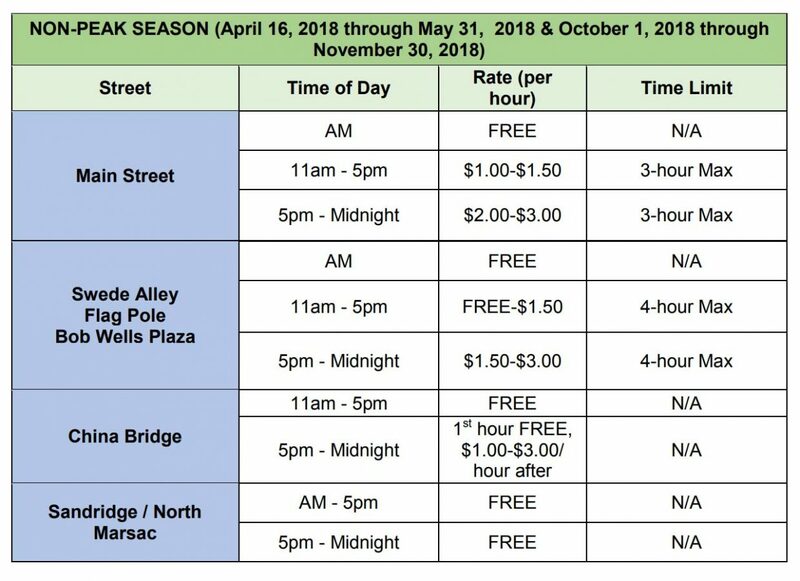 During peak seasons, for example, parking on Main Street between 5 p.m. and midnight, will cost $3 to $4 per hour, with a three-hour time limit. At the same time and season, China Bridge will offer the first hour free, before also charging $3 to $4 per hour with no time limit. During the public hearing, one Main Street business owner voiced strong opposition to adding more paid parking to Old Town. “I have problems with this across the board … These increases are ridiculous,” Main Street accounting service owner Mary Ann Cirino said. “You’re paying three to four dollars to park [on Main Street/Swede Alley parking lots/China Bridge]? … If ultimately rolled out with these [fees], it’s going to hurt businesses, and it’s going to hurt everybody… I think it’s a slap in the face for the tourists, especially if they get ambushed,” she said. Cirino said that businesses and employees will feel the hit if they park in Old Town, even during daytime hours, when parking in China Bridge is still free. “It’s not helping anybody that’s an employer or employee,” she said. “I am still confounded as to why there is such a hard, hard push to make this so financially difficult for so many people, tourists and day-trippers included. “It’s at a point I am thinking of coming off of Main Street, and moving my business, because I do not want to deal with it,” she added. “We all understand that it costs money to work on Main Street, and if we’re paid and compensated for that, then we can afford to work on the street. And if we can’t, we’re going to move off the street,” he added. The city has more than $270,000 in unpaid parking tickets currently, in part because it has been the city’s stance not to take vehicle owners to collections, and handing out citations has been inconsistent, according to Kenzie Coulson, Parking & Fleet Administrative Supervisor. Part of the contract with consultants Dixon Resources Unlimited for the complete parking management program, includes collecting fines and consistent ticketing in the new phase of operations, said Coulson. The goal of ticketing parking violators will be to provide customer service by issuing a warning for first-time offenders, but have a system to catch and fine repeat offenders, with the ultimate goal of encouraging compliance. 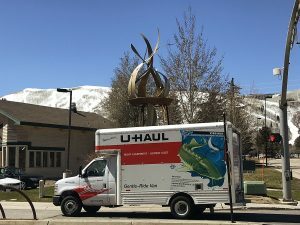 Employees of Main Street businesses, especially evening and night-shift employees, will be encouraged to park for free away from Main Street in the triangle-shaped lot in Bonanza Park, now known as the Homestake Parking Lot. Shuttles arriving in 10-minute intervals and a guaranteed ride to the lot for employees who work until early morning hours aim to move employee cars out of the crowded lots in Old Town. Daytime employees still have several parking options in China Bridge, North Marsac, Sandridge, Flag Pole and Bob Wells Plaza for free until 5 p.m. 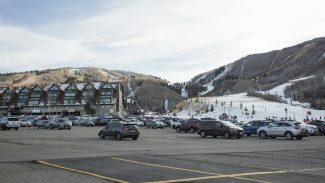 The “Green Dot” parking pass, used by some Main Street business employees, will be eliminated in the December rollout. The city will increase the number of Blue Square passes for business owners to 120, allowing parking in China Bridge with no time limit. The price will increase from $300 to $400. Council member Andy Beerman remembers when parking restrictions began, in response to employees abusing the system by parking where business owners hoped customers would park. Parking was dropped in like a sledgehammer, Beerman said, and there were not mitigating programs to help employees find alternatives. That did end up hurting certain businesses on the street, he said.